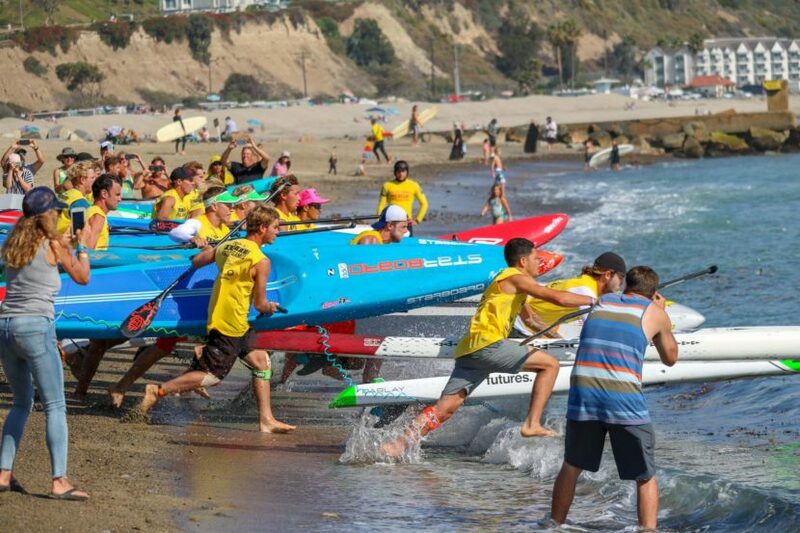 Danny Ching and Erika Benitez have taken out the 2016 Hanohano Huki Ocean Challenge in San Diego’s Mission Bay, with 500 paddlers showing up on a crisp morning for this classic, early season race. 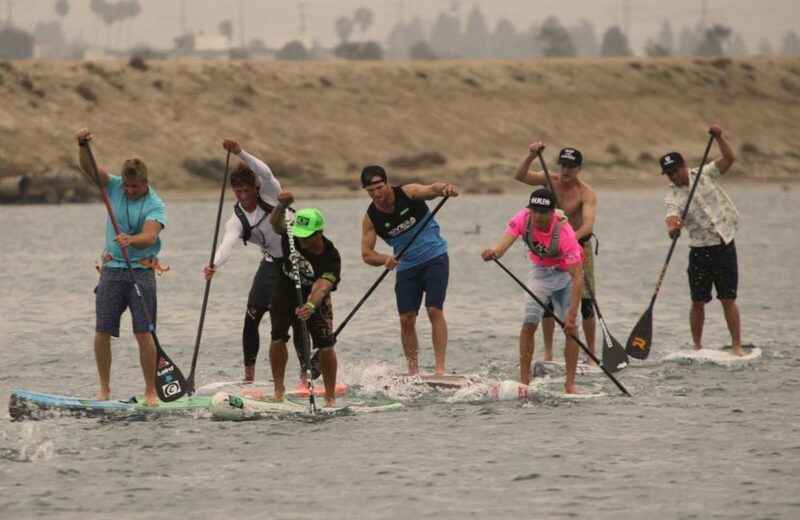 The Infinity speed freaks Dave Boehne & Slater Trout took line honours on their tandem SUP, while Rob Rojas snuck across for second over the line on his unlimited. But in the main battle of the 14 footers, Danny narrowly edged out his new team mate Noa Hopper, with Chase Kosterlitz, Chuck Glynn, Chance Fielderand Gabriel Beauchesne Sevigny all just seconds behind.